This article introduces a new Editorial category here at Obama Conspiracy Theories, Editorial. I think that applies very much to the Birthers and their desire to have have their claims about President Obama examined by a court. It looks like they have gotten their wish in Georgia in the case of Farrar v Obama. Up until now Birther lawsuits had two major problems getting a case heard on the merits: no case and no merits. In almost all of the suits the Birthers had no case, i.e. no case that the federal courts had jurisdiction to hear. In one state suit, Ankeny v Daniels, some of the merits of the suit were addressed by the court, but Birthers mostly ignore it or say it was decided wrong. This time around, in Farrar, the plaintiffs have a perfect right to challenge Obama’s eligibility to appear on the Georgia presidential preference ballot because Georgia law says so. They have formally valid suit. The problem, as they will no doubt be told in the course of things, they have no merit. That’s because the Birther claims consist solely of unfounded allegations, impossible rumors and crank legal theories. However, unlike Ankeny, there will be a great deal of attention focused on Georgia and it will be difficult for the Birthers to shrug off the result. Conspiracy theorists like to find “messages” in public statements. Personally I think Judge Land was sending Orly Taitz a message: “break the rules and get punished.” Judge Malihi is sending Orly Taitz a message: “bring a valid suit before the court and it will get heard.” Just remember, Orly, just because you get another 15 minutes of fame doesn’t mean that you’re above the law either. I think we can all see how this turns out. The President’s attornies present either one of Obama’s birth certificates and Orly rants raves for an hour. Then the judge declares Obama to be a natural born citizen and the birthers tell everyone that “someone must have got to them” and the nonsense continues. I for one, hope the birthers are allowed to unload all their guns, air all their crazy, just lay it all out on the record ….. tee up a big fat ball for the bench to knock right out the legal park. No responses and definitely no cross (should there be any testimony (pleasepleaseplease)). Just let’em serve up a fat one. Defense case should be short and sweet, whatever docs it takes to satisfy GA (“There y’all go.”) Capped with a short, harsh, devastating, ennumerated, “yougottabefrigginkiddinme” opinion. A waste of legal resources, but the people must be entertained! … then right back to business as usual. Oh, to be a fly on the wall of a birther strategy session. I almost typed “brainstorming”. Heh. Looks like judge Malihi will be next to be called a traitor, etc. I for one am glad to see this. I fully support the birthers getting their day in court, rather than simply having their cases thrown out for lack of standing. They do get their day in court, every time they get tossed for lack of standing. Why should a birther suit be exempt from the same standard every other lawsuit in the country has to meet? Doc, I think your use of the word “case” is inaccurate. They may have “standing” in the GA Administrative Court (although I’m not sure the administrative law judge is correct about that), or the right to proceed, but in legal terms, having a “case” is understood to mean “having an action that has merit”. That is certainly not true in GA or anywhere else. Standing is a key part of the MERITs of one’s case. The Birthers have gotten their “day in court” all the time. They have been allowed to continuously bring their cases before a judge time and time again. Sorry, but if a case can’t even meet the basic and consistent tests that are applied to ALL such cases before the court, then it is frivolous. But it still got its “day in court” to be taken seriously enough to rule it as frivolous. For birthers to scoff at standing is another example of many of a despicable attitude and complete lack of respect for U.S. laws. Idiotic statements like “just open the vault” is another good example. Doc, I think your use of the word “case” is inaccurate.They may have “standing” in the GA Administrative Court (although I’m not sure the administrative law judge is correct about that), or the right to proceed, but in legal terms, having a “case” is understood to mean “having an action that has merit”.That is certainly not true in GA or anywhere else. I would add that this is not going to be heard by a “court” — it is an administrative agency hearing, analogous to New Hampshire’s Ballot Law Commission. The unsuccessful party(ies) has the right to petition the court for a judicial review of the administrative determination. GeorgetownJD: I would add that this is not going to be heard by a “court” — it is an administrative agency hearing, analogous to New Hampshire’s Ballot Law Commission. No, it’s a court. It’s a court of very limited jurisdiction, but it’s a court. And the holding will be by a judge appointed by the governor, not by a panel of commissioners. By law, the judge’s holding can even be appealed to a higher court. Loren: No, it’s a court.It’s a court of very limited jurisdiction, but it’s a court.And the holding will be by a judge appointed by the governor, not by a panel of commissioners.By law, the judge’s holding can even be appealed to a higher court. Perhaps. I would argue that it is an independent, quasi-judicial agency. It is not part of the judicial branch. The OSAH presides over state administrative law proceedings challenging administrative actions. Oversight of agency rulemaking generally is not a judicial function. That’s the difference between Orly’s imagination and reality. What is a hearing for her is, to her, a trial for Obama. Of course, there’s not been a real trial yet for Obama. I was aware of the problem and changed some of the “cases” in the second draft, but I missed some. I fixed it up now. Lawyerwitharealdegree: Doc, I think your use of the word “case” is inaccurate. I’ve been looking at the (I hope correct) Court Calendar, and I’m not seeing anything on the 26th that matches (nor for the month of January for that matter). Any ideas? Is the date still tentative? The ruling came down today maybe it takes a while to be official added to calendar. This reminds me of SCO vs. Novell (a FUD case, the corporate equivalent of a crank case). SCO claimed it had proof of “millions of lines of code” copied from their Unix variant to Linux. When they finally had their “day in court” (after first losing on summary judgment, then winning an appeal to get a jury trial), the judge’s first reaction to their evidence (a mere 350 lines of code) was “is this all you’ve got?”. They lost the jury trial and then moved for the judge to overrule the jury, of course in vain. The Magic M: This reminds me of SCO vs. Novell (a FUD case, the corporate equivalent of a crank case). I have been thinking the same thing for some time. Maybe the birthers have been taking their legal advise from the SCO cases, obviously missing that whole bankruptcy thing. The Obama side should simply hand over a COLB and quote Ankeny versus Indiana. Judges are not fools. This judge and the one(s) to follow in Appeal will understand that no Georgian decision ignoring the COLB would be allowed to stand. States have to obey Article 4, section 1. Saying the COLB is irrelant because some Prussian guy is supposed to have written about citizen parentS, would mean discrepancy between the States. Supreme Court again (note that Ankeny assumed the COLB was valid). And it is not going to happen. Would be nice if Taitz appealed it, however. She has, after all, a reputation to hold up in Georgia. Some judge may actually think she is harming her clients again. If you understand my drift. Was the COLB admitted into evidence in Ankeny or was it just stipulated? “Georgia has determined that it is in the best interest of its citizens to screen candidates prior to placement on the ballot. Irion said the goal would be an injunction that would deprive Obama of Democratic Party certification. I wonder what Judge Malihi will think when he reads the whole quote from Minor v. Happersett? “But the supreme court has never squarely determined, either prior to or subsequent to the adoption of the fourteenth amendment in 1868, the political status of children born here of foreign parents. In the case of Minor v. Happersett, 21 Wall. 168, the court expressly declined to pass upon that question.” Judge Morrow, District Court, Northern District of California in re. Wong Kim Ark, January 3, 1896 No. 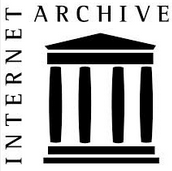 11, 198. Sef: Was the COLB admitted into evidence in Ankeny or was it just stipulated? The plaintiffs (who claimed that McCain was NOT an NBC either) assumed Obama was born in America. Their blood-and-soil argument was based on Vattel, some dicta from SCOTUS (surprise, surprise, including Minor) and some statements by US politicians in the 19th century. The judges did not really address the issue with McCain, since Obama won the electoral votes of Indiana (I think there is a footnote suggesting he probably was an NBC). So, Ankeny is just about the “parents” part of the Vattel argument and says Wong Kim Ark contradicts it. The hearing information for docket number 1215136 is not available. There’s no guarantee that there will even be a hearing on 26 January (or rather three consecutive hearings as it is now). If he wanted to for tactical reasons, surely there’s nothing stopping Obama’s lawyer submitting a motion for summary judgement enclosing a certified copy birth certificate (2007 issue or 2011 issue) and an affidavit that he has been resident for at least 14 years. That’ll do nicely thanks……..NEXT case! >quasi-judicial agency. It is not part of the judicial branch. One interesting question is whether the Georgia Office of State Administrative Hearings is a “State court” for purposes of 28 U.S.C. §1446 (Procedure for Removal), or whether the first time a “court” would be seized of jurisdiction over this matter would be when an appeal is taken to the Superior Court. A very quick westlaw search did not turn up any cases removed to federal district court from the OSAH. I believe there’s also going to be a hearing in Alabama. I’d think they’d want to be prepared for this by having a several copies of his certified birth certificate available for any court cases. It’s only $10 for the first copy and $4 for each additional copy. Perhaps he could make another special request for multiple certified copies made from the long form. Let the court examine the documents and determine that they’re genuine. Heck – let the plaintiffs examine them if they want in the presence of the judge. Obama could always order up more if they do something stupid like try to destroy or deface them. The great thing about certified birth certificates is that in court one copy is as good as any other. It sounds like the birthers hope to be able to somehow depose President Obama by filing in multiple states until one judge somehow approves it. y_p_w: It sounds like the birthers hope to be able to somehow depose President Obama by filing in multiple states until one judge somehow approves it. Well, then, they only have to beat 1/50 odds … assuming all states allow a similar eligibility review. Anyone think their chances exceed 2%? Unless they have already filed in every state, they’re going to miss a lot of deadlines … has anyone offered to help the birthers by pointing this out? Nationwide coordination is asking a lot of them. Checking the postings at http://obamaballotchallenge.com/ … assuming this site has any sort of authority …. it looks like they have a long way to go. most states have only the contact info for the Secretary of State! They have gathered some info on a few states (hey look, OK has a detailed eligibility review process!) … that’s about it. 1. It looks like work. 2. He knows a loser when he sees it. 3. Results threaten his funding base. Gotta keep the flock frustrated to keep’em hooked. However, since 2 and 3 cancel each other out, his absence can only be due to laziness or lack of imagination. A state-by-state sideshow would be a great corollary to the state-by-state primary sideshow. Keep his flock tuned in for each week’s failure. Maybe next time! …. next time! …. next time! > I’d think they’d want to be prepared for this by having a several copies of his certified birth certificate available for any court cases. Couldn’t they just submit one in the GA case and use the judge’s ruling as precedent? At least in those states that are within the same district, that should work. And in any other district, the court could still say “unless you bring some substantial evidence, why should I not trust the judgment of the GA judge in precisely the same manner?”, right? Especially since neither forum shopping nor relitigating the same manner in every state is something courts like very much, I suppose. I’ve hoped from day 1 that such a ruling on the merits would be the birthers’ worst nightmare, next to Obama publishing the LFBC. It would reduce the potential audience even more. I mean, which presidential candidate will go “that judge was probably corrupt or stupid”? They may spin the LFBC somehow, but who can spin a court ruling without sounding totally insane? 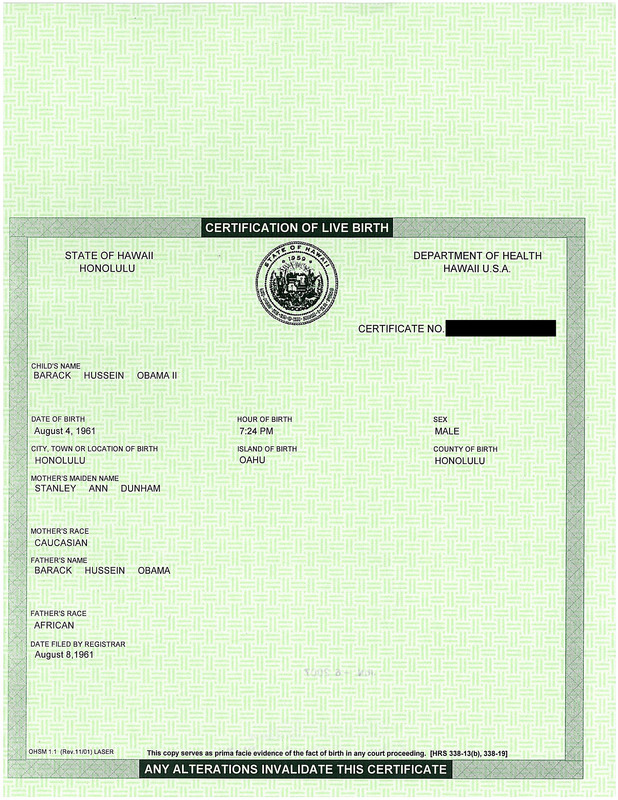 The birth certificate is simply a misdirection ploy used by Obama supporters to conceal the real problem concern the citizenship status of his birth parents in particular his father Obama Sr. “Article II, section I, paragraph 5–No person except a natural born citizen, or a citizen of the United States, at the time of adoption of the Constitution, shall be eligible to the office of President; neither shall any person be eligible to that office who shall not have attained the age of thirty five years, and been fourteen years a resident within the United States.” This is truly an amazing chain of troubling events for our nation. Had the Main Stream Media turned its lazier beam on Barack H. Obama as they did on Sarah Palin, our nation would not be so divided as it is today. We now know that Obama’s unusual origins have a lot of vetted blank pages. It is time to put his status as a “natural born citizen” to rest. This court trial may be the beginning or the end for the truth to prevail. Even if Plaintiffs California counsel is somehow able to secure local counsel and comply with the Bar’s admission rules, the Defendant will likely oppose her pro hac application based on her long and sordid history of sanctions and other unprofessional conduct. See, e.g., See Rhodes v. MacDonald, 670 F.Supp.2d 1363 (M.D. Ga. 2009), ajJ’d., 368 Fed.Appx 949 (11th Cir. 2010) ($20,000 in sanctions). “The grant of admission to a nomesident attorney to appear in this court pro hac vice is not a right but a privilege, the granting of which is a matter of grace resting in the sound discretion of the presiding judge.’” Steinbuch v. Cutler, 463 F.Supp.2d 4, 7 (D.D.C. 2006). Judge denies Al’s motion for stay. The last eligible person died about 130 years ago. Yet we go on…. Had the Main Stream Media turned its lazier beam on Barack H. Obama as they did on Sarah Palin, our nation would not be so divided as it is today.
. . . but what’s a lazier beam? A more lazy beam? Did it do something to Sarah Palin? LMAO! How utterly silly of you to suggest that! 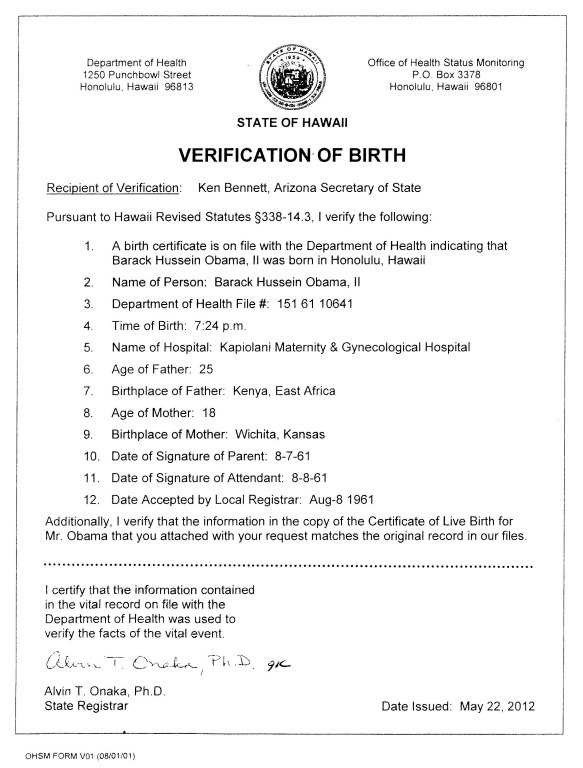 Sorry, but *all* of the Birther nonsense comes from one direction only – the Birthers themselves. They only have themselves to blame for coming up with various wacky and utterly unsupportable theories. Sorry, but there is “no” real Constitutional issue or concern here at all. All of the Birther claims are utter hooey. 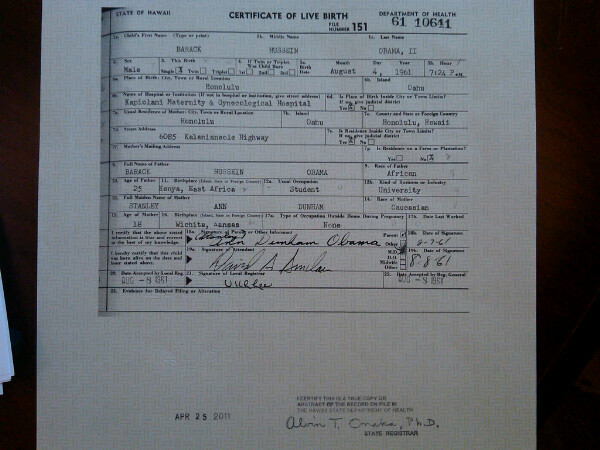 The birth certificate is simply a misdirection ploy used by Obama supporters to conceal the real problem concern the citizenship status of his birth parents in particular his father Obama Sr.“Article II,section I, paragraph 5–No person except a natural born citizen, or a citizen of the United States, at the time of adoption of the Constitution, shall be eligible to the office of President; neither shall any person be eligible to that office who shall not have attained the age of thirty five years, and been fourteen years a resident within the United States.”This is truly an amazing chain of troubling eventsfor our nation.Had the Main Stream Media turned its lazier beamon Barack H. Obama as they did on Sarah Palin, our nation would not be so divided as it is today.We now know that Obama’s unusual origins have a lot of vetted blank pages.It is time to put his status as a “natural born citizen” to rest.This court trial may be the beginning or the end for the truth to prevail. … apparently suggesting the existence of an interstate judicial cabal, coordinating dates just to make life difficult for Orly. They expect courts in multiple jurisdictions to accomodate their schedule? LOL! Real lawyers handle this kind of thing all the time with proper paperwork and team work. But to birthers? It’s not inconvenience, it’s…. it’s … it’s a CONSPIRACY!!! I begin to suspect this foolishness is written in advance. 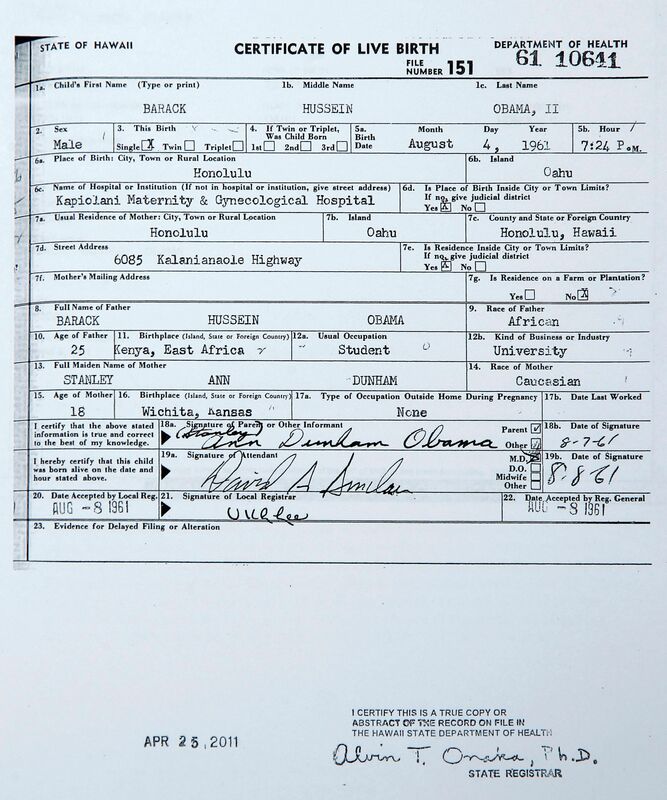 Obama’s father’s citizenship, and for that matter the citizenship of BOTH is father and his mother, have no effect on Obama’s Natural Born Citizen status because of his birth in Hawaii. It is the PLACE of birth, not the citizenship of the parents, that determines Natural Born Citizen status. Who told you that Natural Born Citizen status is determined by the parents? What blank pages do you see? Because we do know quite a bit about Obama. There were hundreds of articles in major news outlets about every phase of his life. Yes, we Obots own WND, Post & Email, Orly and all the other birfer sites who have been trumpeting “where’s the (long/long long/real/original/unforged authentic longlonglong) birth certificate” for years. You got us, our game’s over. You win. FN 1: It should be emphasized that this objective standard uses the perspective of a “reasonable person” and does not permit the unsupported allegations of a handful of fanatical conspiracy groupies to determine your Honor’s fitness to hear this case. Thanks for the update, NBC! Well done by the courts! Oh the irony and the hubris! The birthers’ legal secretaries are indistinguishable from their internet trolls! Maybe they are all hatched from a common egg. Whatever4: What blank pages do you see? Because we do know quite a bit about Obama. There were hundreds of articles in major news outlets about every phase of his life. I stopped paying attention about the time they started demanding *kindergarten records. * That’s too close to bordering on pedophilia, certainly crossing the line from legitimate inquiry into some depths that I am entirely unwilling to plumb. That response from Nagamine looks to be wonderfully thorough. Just as an aside here….I haven’t been following Orly recent craziness in Georgia, but by what authority is she even filing anything? Not actually having looked at the Georgia law that allows challenge of candidates, but usually laws of this type only allow citizens of the state to make a challenge. Since Orly is not a citizen, she has no business there. She can’t be claiming to represent clients, because she is not barred in Georgia, so anything she is doing claiming to represent a Georgia client is unauthorized practice of law, and a HUGE no-no. But then again, can anyone claim to be surprised when Orly does something that appears to make no sense at all? “This woman belongs in prison for what she is doing to me, to my clients and to the whole country. JoZeppy: Just as an aside here….I haven’t been following Orly recent craziness in Georgia, but by what authority is she even filing anything? Back in November, she was granted motion to represent a Georgia client pro hac vice.